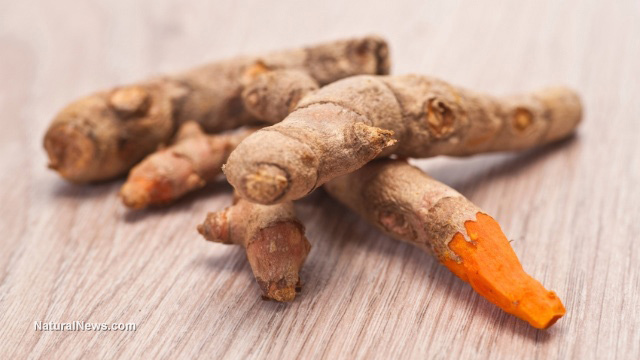 (NaturalNews) Turmeric, ginger's little cousin, has gained a lot of popularity in recent years, and for some good reasons, too. It has been used for ages in Ayurvedic and Chinese medicine to treat a wide range of ailments. It owes its many medicinal uses to its active ingredient curcumin, which is also responsible for the distinctive yellow color and spicy, bitter flavor. Curcumin is a polyphenol that possesses strong anti-inflammatory, anticancer and antioxidant properties. It has been linked to reducing inflammation, relieving pain, reducing blood clots and detoxifying the body. Now, a group of experts from Colorado and China suggests it may hold the key to fighting drug-resistant tuberculosis (TB), too. TB is an extremely infectious lung disease caused by the bacterium Mycobacterium tuberculosis. It easily spreads from one person to another via the air. While it mostly affects the lungs, it can also damage the brain, kidneys and spine. According to the Center for Disease Control and Prevention (CDC), one-third of the world's population is thought to be infected with TB. The likelihood of TB turning into its active form depends on a variety of factors, including lack of sufficient medical care and immunosuppression due to malnutrition. In 2014, 9.6 million cases of active TB were reported which resulted in 1.5 million deaths. 95 percent of these deaths are linked to low- and middle-income countries as resources and treatment are often scarce or non-existing. While TB is fairly easy to treat with a cocktail of antibiotics, the past few years more and more people are developing multidrug-resistant TB (MDR-TB), which is very hard to treat. However, a new study, published in the journal Respirology, suggests that they may have found an agent, extracted from a common pantry spice, to fight the bacteria that causes MDR-TB. Dr. Xiyuan Bai and his team found curcumin to be a potent apoptosis inducer. This is a mechanism used by macrophages, a special kind of white blood cells involved in the immune response, to clear out foreign substances such as bacteria, viruses, cancer cells or cellular waste. In their experiments, they used an in vitro human macrophage infection model to study the effects of curcumin extracts on Mycobacterium tuberculosis. Curcumin was able to boost the macrophages' ability to kill and eliminate the tuberculosis bacteria. The process relies on the inhibition of a cellular molecule, called nuclear factor-kappa B. These new findings could lead to new treatments to fight drug resistance and save lives. However, scientists note that more research is needed to confirm these results. For their next studies, they hope to find similar results in an animal model. "Our study has provided basic evidence that curcumin protects against Mycobacterium tuberculosis infection in human cells," Dr. Xiyuan Bai, lead author of the study, said in the statement. "The protective role of curcumin to fight drug-resistant tuberculosis still needs confirmation, but if validated, curcumin may become a novel treatment to modulate the host immune response to overcome drug-resistant tuberculosis." If you are interested in learning more about how common pantry staples can improve your health and happiness the natural way, join the Natural Medicine, Healing & Wellness Summit here.